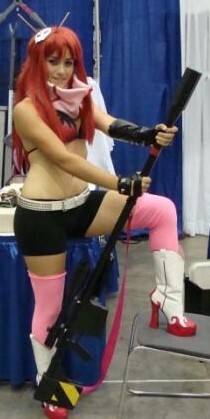 This is the ultimate Yoko's sniper rifle you can find. It measures approximately 5 feet in length and has a ton of features you can have added to it so as to customize it to have only the features you want. Most Yoko rifles out there are made mostly from wood. 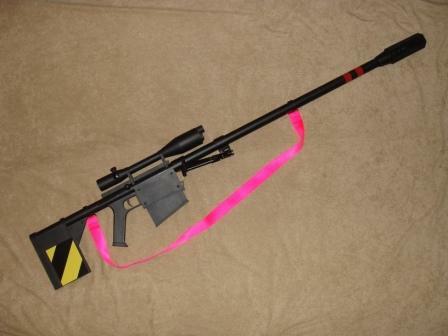 Ours contains a wood stock and scope rail. Everything else is made of resin! So its durable and well as detailed. 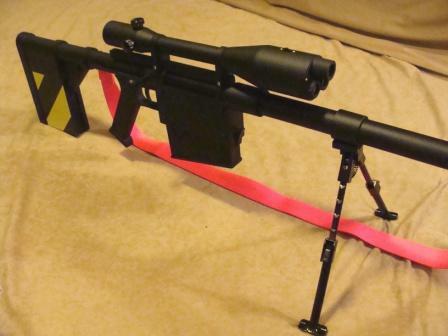 The basic model looks like what you see above and the only features it contains are a sliding bolt and fully operational bipod. 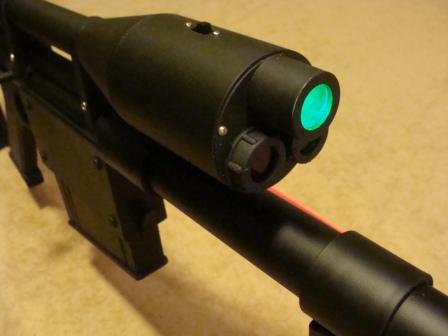 Additional features can be added such as removable magazine clip with bullet detail, light up scope, and spring loaded trigger. But that's not it. You can buy the conversion kit which allows you to convert the sniper rifle to the smaller machine gun configuration! If you wish to buy just the machine gun version, you can do that as well. 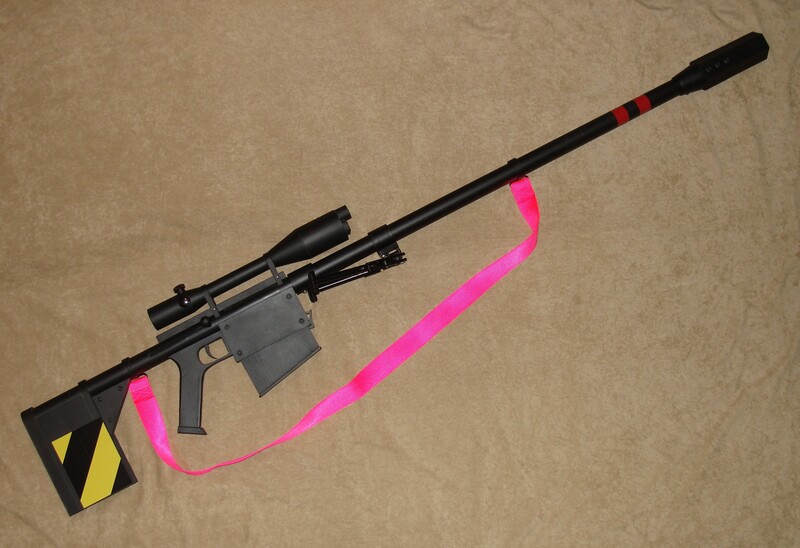 Features include sliding bolt action and fully functioning bipod. Super bright LED operates off two AA batteries and turns on with the flick of a switch! With this upgrade, you can remove the clip and there's even bullet detail inside! 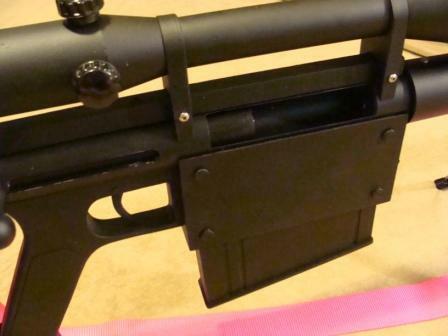 The conversion kit includes a second larger magazine clip as well as a handle attachment that swaps out with the scope. 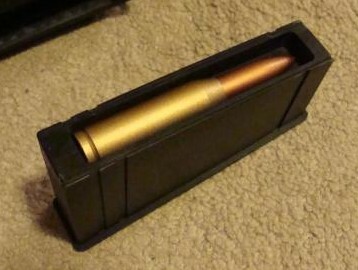 The magazine here also contains the same bullet detail as the standard clip. This simple upgrade gives you two guns in one! 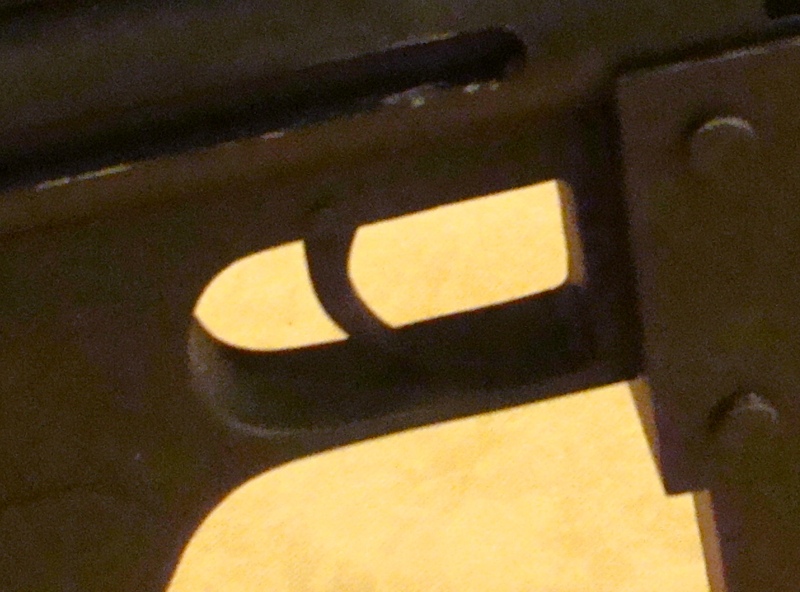 The standard rifle has a non-moving trigger installed. With this upgrade, you get a moving trigger with a spring.